Data Deluge: The Titanic 100 Years on. The Titanic sank in April 1912. 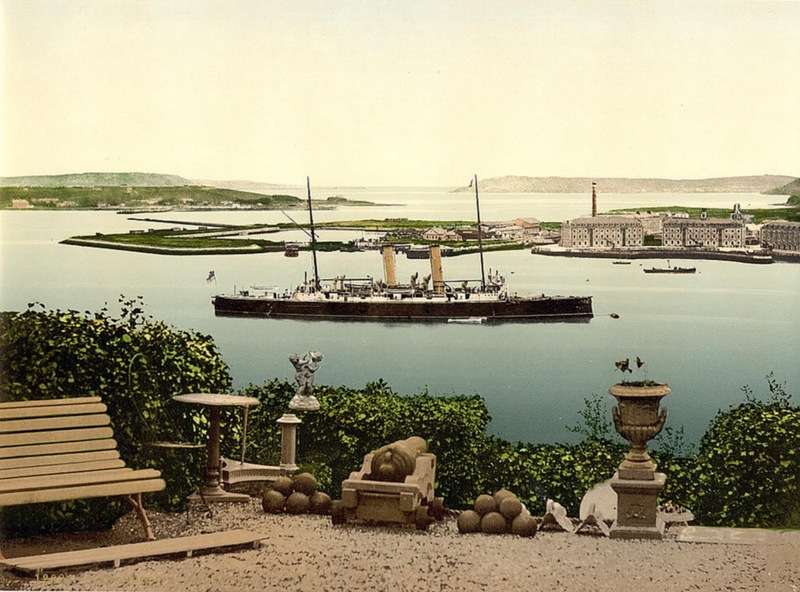 The last port it called at before it sank was Queenstown in Ireland, just outside Cork city (Queenstown is now called Cobh). In 1912 my maternal grandmother Catherine Cummins was 20. She lived with her family at 10 Ballyvoloon, part of Cloyne Terrace, Queenstown. Her parents Michael (58) and Jane Cummins (44) and her siblings Josephine (25), Nellie (23), Stephen (21), Michael (15), Esther (12), Winnie (11) and Charles (6). According to the census they were all Roman Catholic and they could all read and write. Her Dad could speak both English and Irish. Below is an image of Queenstown Harbour from circa 1900. Notes:Title from the Detroit Publishing Co., catalogue J--foreign section. Detroit, Mich. : Detroit Photographic Company, 1905..
Print no. "12024". Forms part of: Views of Ireland in the Photochrom print collection. Subjects:Ireland--County Cork. Format: Photochrom prints--Color--1890-1900. Rights Info: No known restrictions on publication.